Russian and Japanese scientists believe that it might finally be possible to clone a woolly mammoth after finding an exceptionally well-preserved thigh bone. 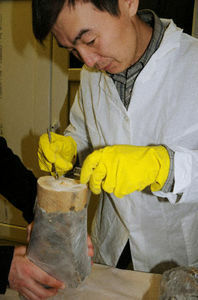 The mammoth bone, preserved in permafrost, contains blood-cell producing bone marrow in good enough condition to make cloning possible. The scientists will then plant the embryos into elephant wombs for delivery, as the two species are close relatives, the report said. Securing nuclei with an undamaged gene is essential for the nucleus transplantation technique, it said. 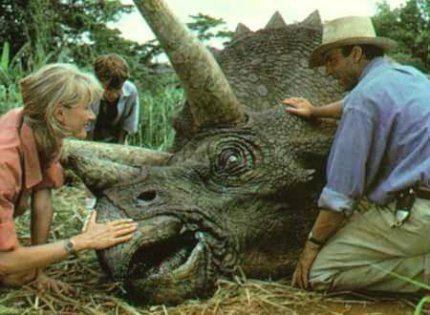 Writer Michael Crichton popularized the idea that dinosaurs could be brought back to life in his 1993 novel Jurassic Park. In the novel (and the movie), DNA from blood collected from mosquitoes encased in amber was used to resurrect T. rex and velociraptor, among others.